BAT - BLOG : BATMAN TOYS and COLLECTIBLES: Classic 1966 #BATMAN TV Series BAT-FANS Go Batty in the Netherlands!! Classic 1966 #BATMAN TV Series BAT-FANS Go Batty in the Netherlands!! 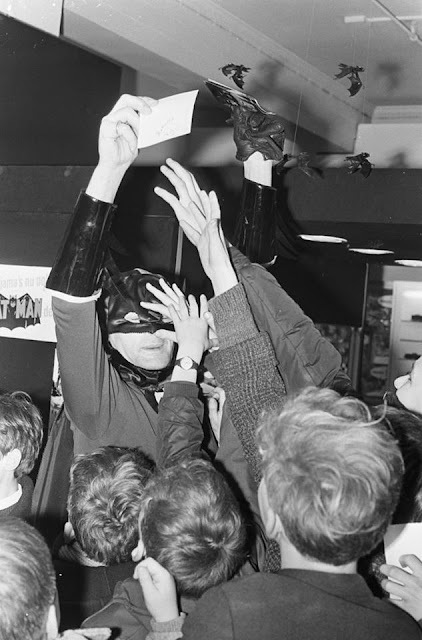 Here's some fun Batman Collector News that everyone should love. 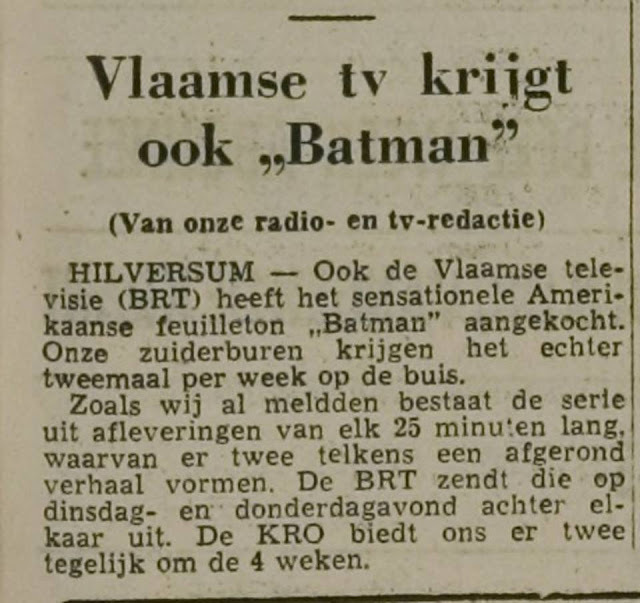 Shown here are some scans from an old 1960's newspaper sharing a story about how people were going crazy over the 1966 BATMAN TV Show.... in the Netherlands!! 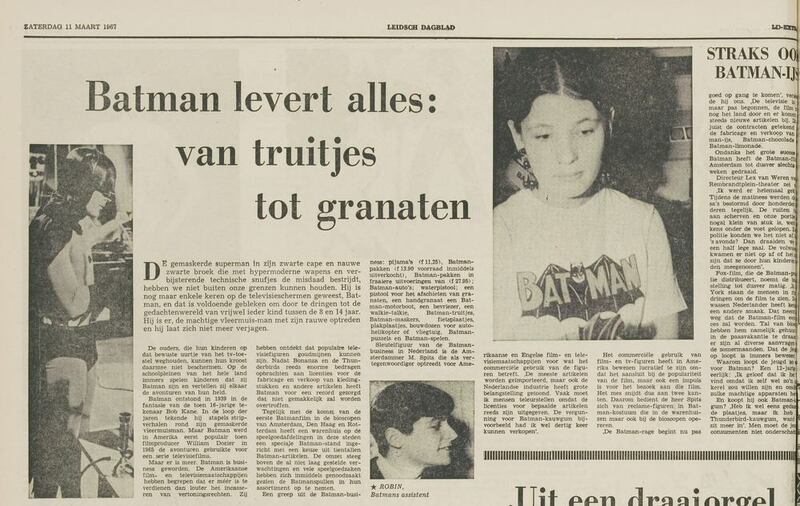 Yes, you read that right, Batman is loved all over the world! 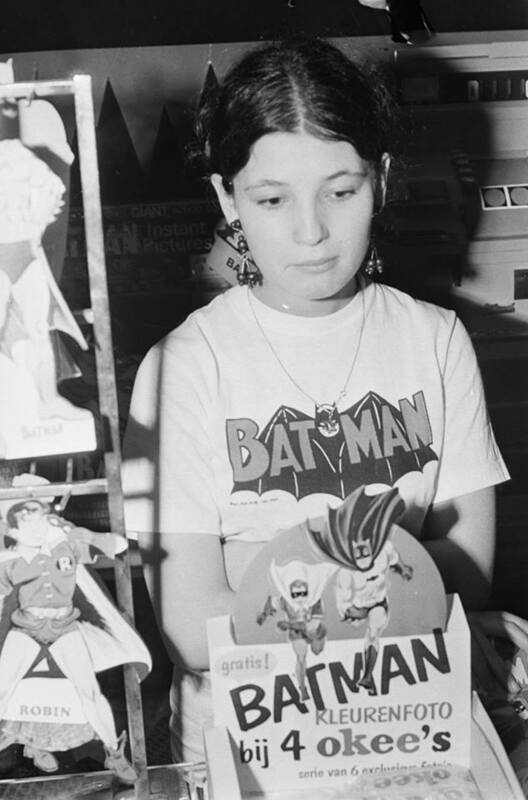 The thing I think that's pretty amazing is that when I was a very little boy I had that same exact "Batman Logo" T-Shirt you see that girl wearing. These pics were sent in to us by a very good friend over at our BAT-BLOG Facebook Page. If you're not a member then please join, it's FREE! Oh yeah, and a special THANK YOU to our good buddy for sharing these wonder photos, thanks!